My saving star says spend 15 on angelsoft get 5.00 back. There is a 2.00 booster for watching a video meaning you need to spend 13 to get the 5 dollars. 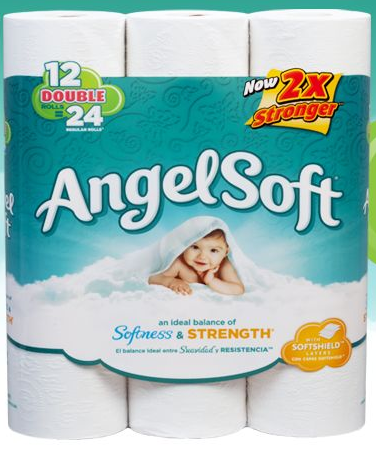 Angelsoft 2/10 with I save and using 2 $1 off means Oop is 8 dollars. With the saving star from buying 2 packages they become 1.50 each. You are lucky than, as My Saving Star is the $5.00 back when you spend $20.00. Is this your first time using the Saving Star Angel Soft one or many? I have found if I do a one or many offer the next time the do the same brand one or many offer the amount I have to spend increases.